SsangYong may not have the big budget or the onslaught of new models you’ll find from other fast-moving Korean brands like Hyundai and Kia, although, with new investment in the company, that is in the pipeline. But the brand has wisely just stuck to what it knows; affordable and hard-working alternatives to the typical Kiwi SUV and ute choices. Truth be told the Rexton is showing its age now among newer generation vehicles, but for towing it remains an absolute workhorse. 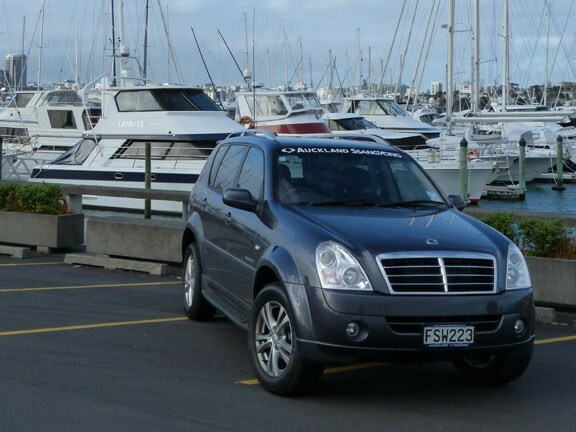 Without the "out of the box" styling found in some other SsangYong models, the Rexton is much more conventional in its appearance, which a is a good thing in this case and really represents the best the range has to offer. 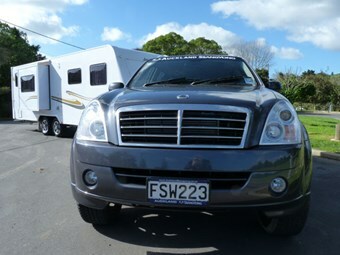 Most importantly for those requiring plenty of towing grunt, torque delivery is the Rexton’s forte. Under the skin lives a five-cylinder 2.7-litre common rail turbo diesel. The entry level models deliver 121kW and 340Nm of torque – very respectable, but these are better targeted to offroad enthusiasts as the four-wheel drive system includes a low range. To best handle the impressive 3200kg braked tow capacity, however, you’re best looking up the range at the Sports version we have tested here, or the top-spec SPR. There’s no low range gearbox, but outputting a much healthier 137kW and 402Nm, both the Sports and SPR models incorporate a variable vein turbo charger that is omitted from the entry level Rexton. Now commonplace on all modern diesel engines, the variable geometry technology ensures far more linear torque and pulling power from lower in the rpm range. In the case of the Rexton Sport, the full might of that 402Nm is on tap from a remarkably low 1600rpm. It’s not the most refined engine in the world and some diesel clatter is evident in the cabin. We hitched the Rexton Sport up to a fairly sizable Jayco caravan – all 2300kg of it – and while the term "you barely noticed it" is an overused one in tow vehicle reviews, I admit, it really suits in this instance. The Rexton is underpinned by a tough ladder chassis that barely flinches as the weight comes on the tow ball, pleasingly the ride height remains – give or take a few millimetres – unchanged from standard. And with all that grunt at your disposal, progress is effortless. Despite the transmission offering just five speeds among an SUV category now filled with six speeders, the ratios are well-spaced so the drive train is smooth to shift, unlaboured and the engine ticks along at about 2200rpm at open road speeds. It drives well enough, but the lack of a sixth speed costs it some fuel economy, which unladen averages around 9.2L/100km. 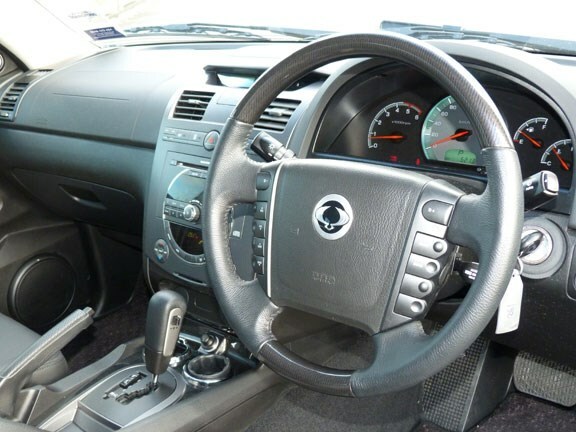 Standard interior features impress at this end of the market and include audio and cruise controls from the steering wheel, climate control, USB audio compatibility, three 12V accessory plugs and some handy little cubbies. Seating too, is large and comfortable on the long trips for up to seven occupants. When not in use the rear seats fold away flat to deliver massive luggage space. While curtain airbags have become the norm with mainstream SUVs, you disappointingly miss out on the important safety item in the Rexton. Front and side airbags and electronic stability control with rollover prevention is, however, equipped. But remember, this is a $54,990 large SUV. Comparable models from the usual suspects will stretch pricing out significantly. And for out and out towing, the rugged chassis and pleasing torque characteristics make for a powerful and competent load hauler. See the Ssangyong Rexton for sale on Autotrader.